The dramatic conclusion rises with tense energy, and the movies concludes. FADE TO BLACK. (chuckling) "What a shity movie," I say to myself out loud. Not with passion or disdain in my heart, but rather an amusement with the ridiculous and a sense of comfort found within familiar cinematic formulas. 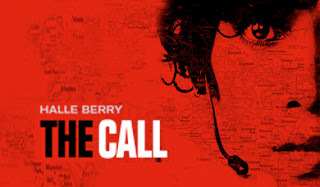 Audiences on imdb.com currently rank The Call at a 6.7 out of 10 stars. Which by Up Till Dawn Films standards happens to be quite substantial. While am not going to argue with the ranking, I was quite surprised by the average. Both Liz from Nip/Tuck and Christopher Moltisanti from the Sopranos co-starred, so I guess that added some cool points. Yet, Chris was killed within ten minutes, and Michael Imperioli should always get more screen time. Sorry for the spoiler, but you're probably not missing much by attaining the information. If you're a 911 operator, this is the movie for you. Meanwhile, The Call when considering that it happens to be a WWE Studios film, more than exceeds expectations. However, if you're looking for value in your movie ticket this weekend, Evil Dead or even Jurassic Park in 3D may prove to be a more satisfying spend. Additionally, Oz the Great and Powerful stars James Franco and Mila Kunis, so what's that tell ya?